Following is a list of Italian Restaurants on the Gold Coast, Queensland Australia. 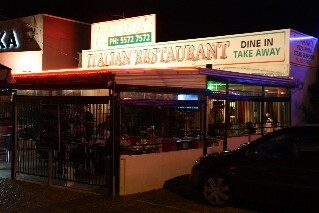 Romana's Italian Restaurant (reviews) 2233 Gold Coast Hwy Nobby Beach Ph: (07) 5572 7572. Open for dinner 7 nights a week. Dine in or take away. 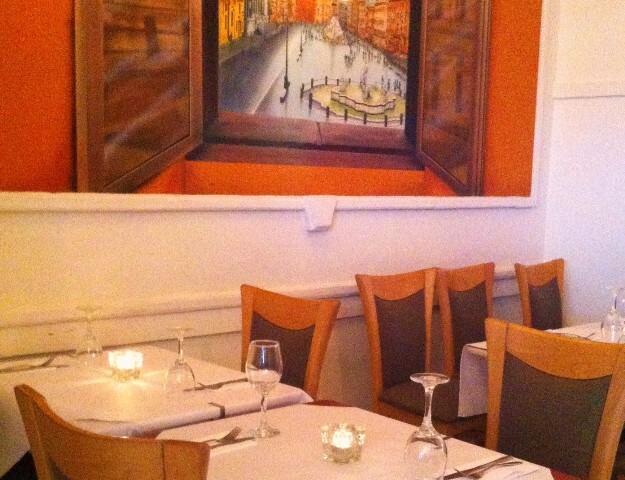 For restaurant reviews for Romana's Italian Restaurant click here. 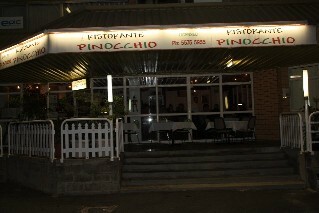 Ristorante Pinocchio Italian Restaurant (1 review) 2460 Gold Coast Hwy Mermaid Beach Gold Coast Ph: (07) 5575 5955. Open for dinner Tues - Saturday 6pm - 10pm. For restaurant reviews for Ristorante Pinocchio click here. 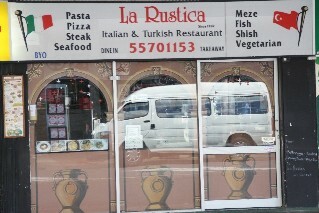 La Rustica Italian and Turkish Restaurant (reviews) 3118 Gold Coast Hwy Surfers Paradise Ph: (07) 5570 1153. Open 7 nights a week from 5pm - 11pm. For restaurant reviews for La Rustica Italian and Turkish Restaurant click here. Vapiano Italian Restaurant Soul Retail Caville Avenue Surfers Paradise Ph: (07) 5538 8967. Open 7 days a week from 11am - 11pm. Rossini Italian Restaurant 2705 Gold Coast Hwy Broadbeach Ph: (07) 5592 3738. 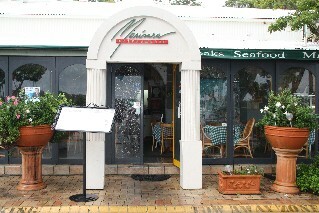 Mano's Italian Restaurant 40 The Esplanade Paradise Point Ph: (07) 5577 1818. Open 7 days a week from 7am until late (except Tuesday morning). Licensed and BYO wine only. 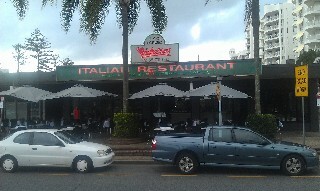 Gino's Trattoria 128 Lae Drive Runaway Bay Ph: (07) 5537 3750. Licensed and BYO wine only. Open for dinner Tuesday to Saturday. 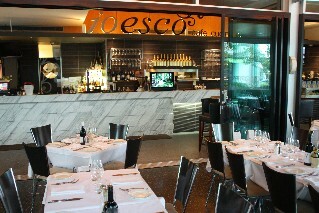 Ioesco Italian Cucina Bar & Restaurant (1 review) Marine Village 3a Masthead Way Sanctuary Cove Gold Coast Ph: (07) 5577 8800. Open for breakfast Sat & Sun 7am - 10am. Open for lunch 7 days a week from 12pm - 2pm. Open for dinner 7 nights a week from 6pm - 10pm. For restaurant reviews for Ioesco Italian Cucina Bar & Restaurant click here. Marinara Italian Restaurant (1 review) Marine Village Shop 20 Masthead Way Sanctuary Cove Gold Coast Ph: (07) 5577 8555. Open for lunch and dinner 7 days a week. For restaurant reviews for Marinara Italian Restaurant click here. 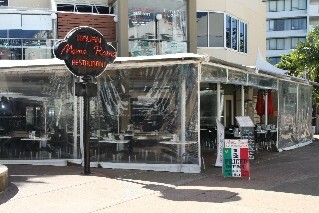 Amor Ristorante & Pizzeria (reviews) 2527 Gold Coast Hwy Mermaid Beach Gold Coast Ph: (07) 5554 5998. Open 7 nights from 5pm till late. BYO restaurant. For more photos and restaurant reviews click here. 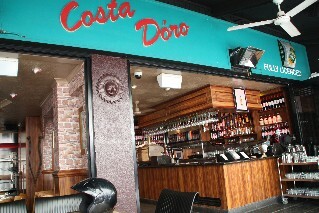 Costa D'oro Italian Restaurant & Pizzeria (1 review) 27 Orchid Ave Surfers Paradise Ph: (07) 5538 5203. Open 7 days a week for lunch and dinner. For restaurant reviews for Costa D'oro Italian Restaurant click here. 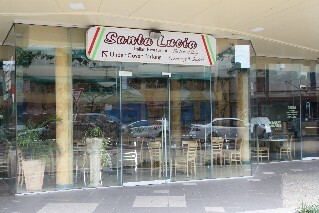 Santa Lucia Italian Restaurant (reviews) 3033 Gold Coast Hwy (Cnr Laycock Street) Surfers Paradise Ph: (07) 5570 4044. Specialise in Italian Seafood. Licensed and BYO. Open for dinner 7 nights a week from 5pm till late. For restaurant reviews for Santa Lucia Italian Restaurant click here. Bella Luna Italian Restaurant 151 Scarborough Street Southport Ph: (07) 5591 6811. Open Tuesday to Friday 11.30am to 3pm and 5.30pm to 9pm. Saturday 5.30pm to 9.30pm. Ristorante Fellini Waterfront Level 1 Marina Mirage Seaworld Drive Main Beach Gold Coast Ph: (07) 5531 0300. Domanis Italian Restaurant Cnr Woodroffe & Tedder Ave Main Beach Gold Coast Ph: (07) 5571 0091. Open 7 days for breakfast, lunch and dinner. 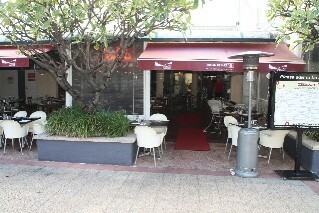 Milan on Main Italian Restaurant Shop 4 14 - 16 Tedder Ave Main Beach Gold Coast Ph: (07) 5528 3777. Open 7 days a week from 7am till late.